32 swimmers from Kings Cormorants club in London descended on the 2012 Olympic venue to race against swimmers from 48 European nations, winning a total of 9 medals, (6 Gold, 1 Silver and 2 Bronze). 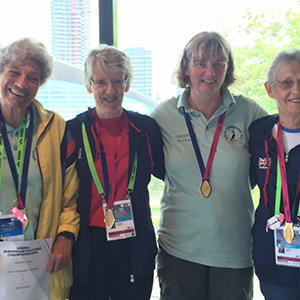 Jane Asher (above left), Britain’s top masters’ swimmer and Kings Cormorants coach, broke World Records, bringing her old record of 3:31.71 for a 200metre freestyle swim down by huge margin to 3:21.29 in the 85-89 Years age group. 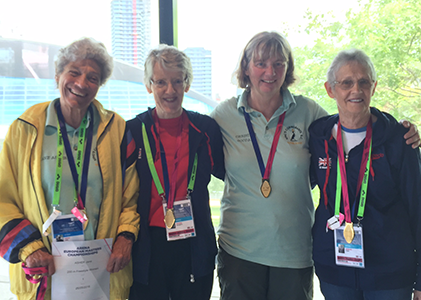 The Cormorants team, Jane Asher, Penny Webster, Elizabeth Savidge and Christine Goodair (above) took the Gold in the 280-319 Years 4x50m Freestyle Relay. This was followed by their 320-359 Years age group mixed team winning Gold and the quartet of Jane Asher, Geoffrey Bishop, Penny Webster and Frank Taylor set a British record 2:56.39. To round off the Championships Jane Asher was victorious in the 400m Free, finishing in a time of 7:10.67, knocking a second off her own 85-89 Years best of 7:11.71 from this year’s British Championships in Sheffield. 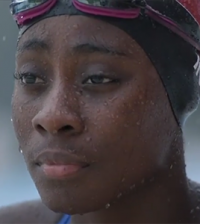 This was surpassed by her 50m freestyle swims breaking the World Record of 44secs twice by doing a 39secs in her individual race and then swimming the first leg of the relay in 38.6. 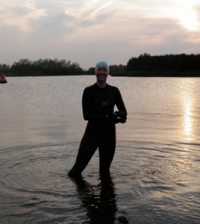 However, a highlight for Jane Asher was to swim in a “family relay” team comprising herself and her two sons Jamie and Alistair Asher with Christine Goodair. Head Coach, Jane Asher commented on the club’s performance: “I am really proud of all the swimmers who competed at the LEN European Masters Championships 2016, they have worked really hard to achieve these performances”.